If you get a manual action, the message they send you indicating it has been applied can only be seen in GSC. Using GSC is also the only way you can get it removed. 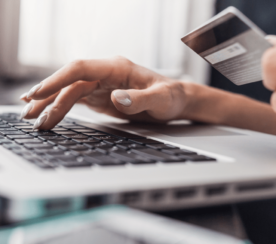 Penalties or manual actions may be partial or sitewide. Here is a list of current manual actions from Google. You can click through to the page and get more details on each one plus help on how to fix the issues. The information is quite extensive, so too much to list here. So, You Have a Manual Action – Now What? Before you ask Google to remove your penalty, you will have some work to do. A manual action means Google manually reviewed your site and found your site violated their guidelines severely enough they actively dampened your site’s value in Google’s ranking algorithms. So, before you can get it removed you must fix what is wrong. How Do You Know What Is Wrong? Google will send you an email in GSC with a description of the issue and a sample list of URLs where the manual action was applied. Sometimes it is a large list and sometimes a small one, but remember this is only a SAMPLE LIST. This means you have to make sure you addressed not just the examples given to you in your manual action report, but also every other instance of that issue on your site. If you are unsure how to diagnose a site issue like this, you should invest in a site audit from someone who specializes in penalty recovery. This is a special type of audit and should only be performed by someone with experience in site recovery. Otherwise, you might end up wasting your money chasing ghosts. If you try to send in a reconsideration request on just fixing the example set, it is unlikely you will get the manual action removed. This may not seem like an issue, but in fact the more times you submit a request and get rejected the longer it takes to get reviewed the next time. Since time, in this case, is literally money, you want to try to get it right on the first try. You must do the work on your site and find all instances of the issue and fix them and the sample URLs to the best of your ability. Also, this is a good time to remind you that if you are doing anything dodgy on your site you will want to remove that as well during the fix process. When you send your site in for the reconsideration request, Google will be doing a hand review on your site pages. You don’t want them to find something else. I have seen sites get additional actions during a review for implementing dodgy tactics. OK, I Have Fixed the Issues – Now What? Fixed the issues and checked them twice, made sure you are good to go? Great, now comes the Reconsideration Request. The Reconsideration Request only shows in GSC if you have a manual action, so you will not see it otherwise. 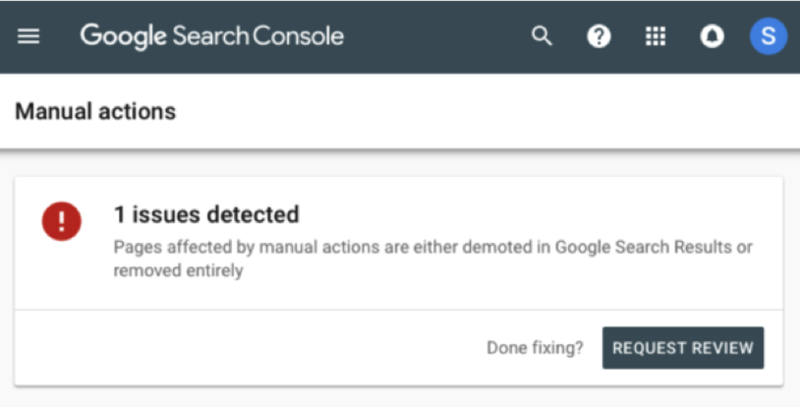 You can find it in the New Search Console Manual Actions Report. Here is where you can upload your request, but what do you need to put in it to be successful? Everyone has their own method to writing these requests and so this is just the way I have found works best for me, though at a 100% removal rate I would say it has a good track record. I always tell clients, think of the Reconsideration Request like an apology you might write to your parents after you have stayed out past curfew one too many times. You will need to write a mea culpa, so to speak. Own what you did wrong and explain how you are going to prevent it from happening in the future. What Goes Into the Reconsideration Request? Here is a simple outline of what should be in your request. The request should be submitted in a text file. 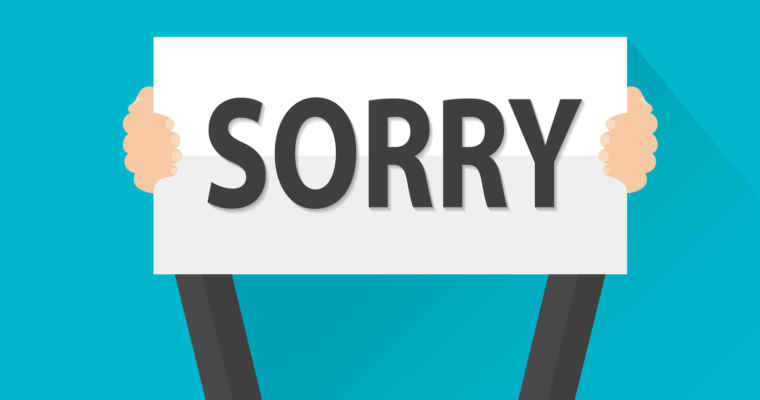 Outline the issue and tell them you are “sorry”. Let Mom and Dad (Google) know you understand why you were penalized and that you know it was in violation now (you might not have at the time and that is ok). Often the site owner did something because they were told to by a bad SEO provider and had no idea it was in violation. Make sure to add that you were given bad information and that you no longer work with that agency or consultant. Explain the fixes and how they were implemented. 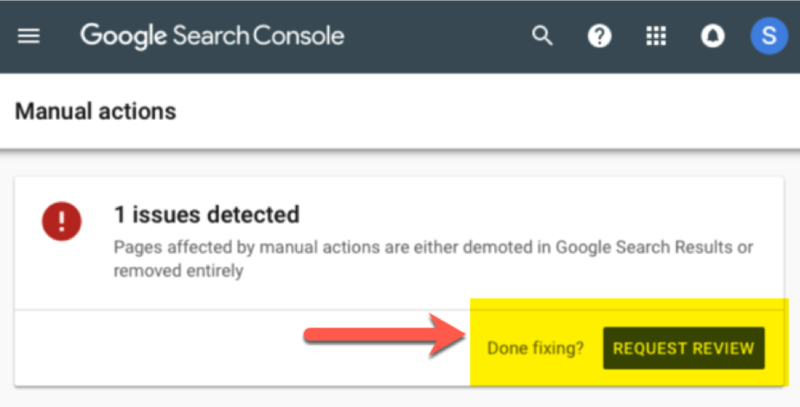 Tell Google what you have done to correct the issue, in detail. Now, you don’t need to outline the fix you applied URL by URL. But if you fixed something let them know the specifics of that fix. Show them you understand. Don’t just tell them how you fixed the site issue, but the extent you went to do so. Just like with Mom and Dad. They want to know what you are going to do to make sure it never happens again. Outline how you are going to make sure your fixes stay fixed. 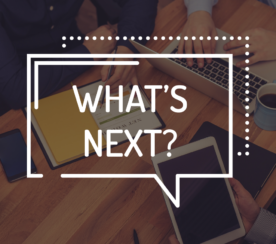 Don’t just tell them the mechanics of what you fixed, but what processes you put in place to keep it from happening again including things like training or proper oversight into SEO practices. And whatever you do – don’t just do it again after they lift the manual action. You won’t like the result. Tell them you hired someone to help you with what you did wrong and advise you on how to prevent the issue from reoccurring. If the SEO who helped you fix the site is well known and reputable, give Google their name in the request. You are paying for professional help, let them know. Bonus tip: The file you will submit is generally a text (txt) file, but you can put links to Google Docs or Google Sheets if you need to supply supplementary information. Google will not click them and that information won’t get read. It can take a few days to a few weeks to get a reply, so don’t watch your inbox like a pot of water coming to a boil. DO NOT RESUBMIT until you hear from Google in your GSC email or manual action viewer. You will get a reply that states whether it was removed or not. Google started adding some confusing language to their Reconsideration Request responses this past year. It used to be that Google would simply say if it was removed or if it wasn’t. Now they will send you this, which sounds like well maybe it has been removed and maybe it hasn’t. In order to verify whether it was adjusted or revoked, you will need to go to the manual action viewer. If you see “no issues detected”, you are good! Do a happy dance! If you do not see the green checkmark, you have more work to do. Go back to the manual action viewer and see what URLs might have changed since the last time you looked. They will usually send you some new ones in with the old to help you figure out what you missed. Reminder: Your time to removal gets slower with every attempt, so do not do these requests with the idea that you can do a minimal effort attempt. Sometimes that works, but usually it doesn’t and the longer you are in a dampened state the more traffic/money you lose. My Manual Action Was Removed, but I Don’t See Any Changes to My Traffic? It is important to note that manual action removal does not always mean instant recovery. Some penalties like schema are usually quick to recover because Google just needs to lift the manual action, but others like User Generated Spam or Thin Content can take some time because Google needs to crawl the site and re-evaluate/re-rank your pages. Full recovery can take weeks, sometimes months. Don’t despair if it does not happen immediately. As long as you no longer have a manual action in the viewer it has been removed. What If I Have a Security Issue Report in My GSC? 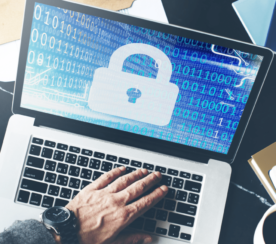 This process is the same for a Security Issue, but the time to recovery is much quicker. Remove the hack and submit your request following the same rules outlined above. 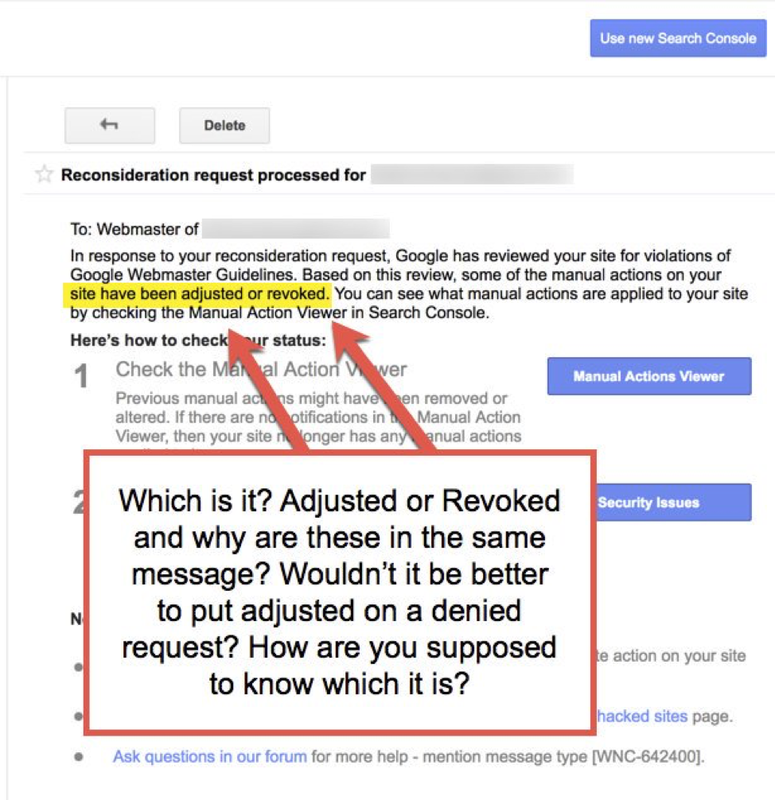 This is an older video by Matt Cutts, but still on Google’s Manual Action page about how to write a Reconsideration Request so it is a really good video to review before you start one. And here is Google’s take on how to submit a reconsideration request.